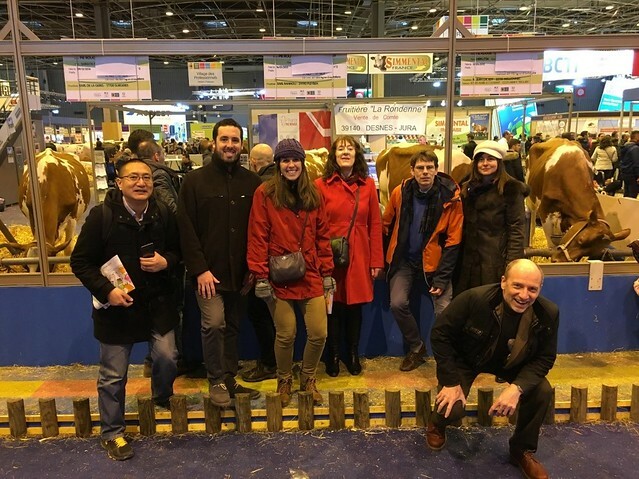 OECD Staff attending Paris Agricultural Expo. 云南快乐十分前三组 www.h69au.cn Each year, agricultural experts from around the world gather in Paris to crunch numbers, analyze trends, and produce a 10-year global agriculture outlook report. I was among those analysts, and today, we unveiled our collective efforts in the OECD-FAO Agricultural Outlook 2018-2027. This annual publication is prepared jointly by the Organisation for Economic Co-operation and Development (OECD) and the Food and Agriculture Organization (FAO) of the United Nations. The OECD is a membership organization of nations with advanced, emerging, and developing economies. Together, they work to promote economic growth, prosperity, and sustainable development. The OECD-FAO Agricultural Outlook gives a unified assessment of supply and demand expectations for the next decade of national, regional and global agricultural commodity markets. The report analyzes commodities including cereals, oilseeds, sugar, meat, dairy, biofuel, fisheries, cotton, roots and tubers. Participating countries and country experts provide input into the process. OECD and FAO staff use this information to construct projections for the next ten years. It’s worth noting that this is a baseline projection, not a forecast about the future. It provides a plausible scenario based on macroeconomic conditions, policy situations, weather conditions, productivity trends and international market developments. The report gives stakeholders across the globe a better picture of prospects for long-term economic growth and scenarios for trade and agricultural policies. I contributed as the lead author of the cereals chapter, which focused on global grains projections. I developed 10-year global projections for wheat, corn, rice, and other coarse grains for Argentina, Australia, Brazil, Canada, China, the European Union, Japan, Mexico, New Zealand, Norway, South Korea, Russia, Switzerland, and the United States. It was rewarding to collaborate with OECD and FAO staff to reach satisfactory world baseline projections. 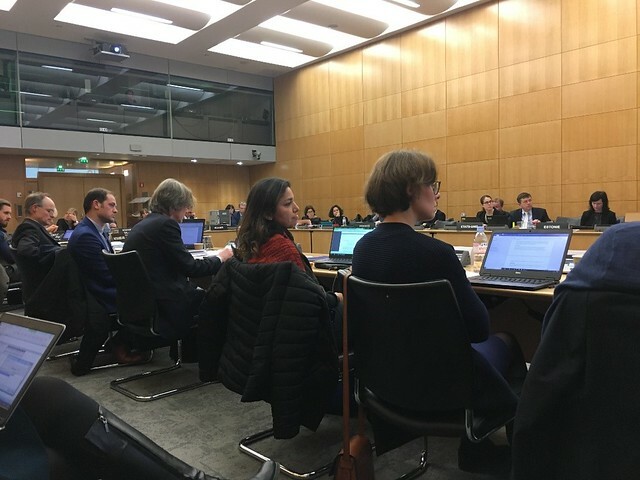 I presented preliminary results to OECD member country delegates and representatives from international commodity organizations at the OECD’s Group on Commodities Markets annual meeting in March. The USDA has a longstanding collaboration with OECD, providing annual feedback on the OECD-FAO global projections. This partnership supports greater familiarity with each other’s working methods, agricultural models, forecasting tools, and the continued work in scenario analysis based on the model results. The USDA strongly contributes to this collaboration with robust expertise in U.S. agricultural forecasting and global commodity analysis, stemming from the analysis that goes into USDA’s own yearly international agricultural projections and the global forecasts in the monthly World Agricultural Supply and Demand Estimates (WASDE) report. OECD Group on Commodities Markets Meeting. This year’s edition includes commodity analysis, a special feature on agricultural production improvements in North Africa and the Middle East, and interactive graphics that compare how much countries import, export, consume, and more. Learn more about the OECD-FAO Agricultural Outlook 2018-2027 at the OECD website. Nice article Joanna! I tweeted it. We really appreciated your contribution and the collaboration of USDA. An increase in our global food security is great news. Considering the controversy surrounding the demand for food by 2050, reading that there’s a steady effort to meet those needs is reassuring. Thank you for all that you’ve contributed thus far.